Hi Allen! I viewed 24 of your newest superb pots! Amazing! 24 x 5*****! I will visit again soon! THANK YOU wholeheartedly dear ALLEN,forv all your kindness,and warm words !! Really appreciate it !! THANK YOU SO MUCH !!! Wish you a very happy weekend with your loved ones !!! Warm hugs and love !! 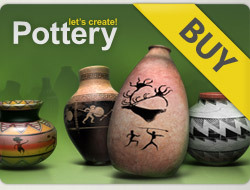 5 stars for all beautiful pots! I wish you good luck and happy new week! 5* x 2 beautiful new pots .